Family First Comment: We can see the effects of declining marriage rates in society – sadly. Kiwis are marrying and divorcing considerably less than they were 25 years ago, but married couples are staying together for longer too, new stats reveal. While the total number of New Zealanders marriages has remained at around 20,000 each year since 1992, the actually marriage rate has dropped. This is due to the increased population size in New Zealand in that time, which means the general marriage rate has dropped. In 1992, the marriage rate was 18.3 couples per 1,000 people eligible to marry (or form a civil union from 2005), dropping to 10.9 couples in 2017. Likewise, the divorce rate among Kiwis has also dropped over the last 25 years. In 2017, there were 8,001 divorces and the divorce rate (number of divorces per 1,000 existing marriages) was 8.4. In 1992, 9,114 couples were granted a divorce, and the divorce rate was 11.9. 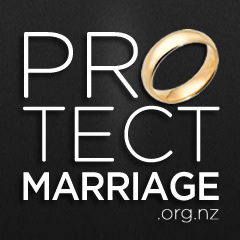 The median age to get married or enter a civil union in New Zealand has also risen – to 32 years for men and 31 years for women.